This device was created primarily for the purpose of providing a device that can easily fit into almost any size wallet. 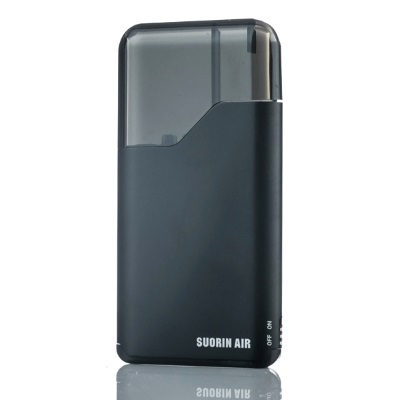 The Suorin Air is the first of its kind. Its small build is only 86mm high, 43mm long, and 8mm wide. This is an all-in-one pod type device that holds up to 2ml of your favorite e-liquid. The Suorin Air has a 400mAh rechargeable built-in battery with vape-while-charging technology. Easy to operate, the Suorin Air has one power switch and the device is instantly activated through inhalation. Perhaps the best feature is the ease of swapping pod cartridges, allowing you the option to purchase multiple pods at an inexpensive price to keep filled with several of your favorite e-liquid flavors. This allows for you to change flavors any time you want without the hassle of changing coils or draining e-liquid from tanks!